After two editions of the Baltic Cup in the Estonian resort of Parnu and in the city where the wind was born Liepaja in Latvia, the rights to host the event in 2017 are awarded to Kaunas, Lithuania. 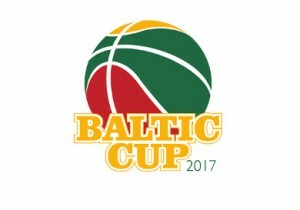 The Baltic Cup is a tournament organized by NGO Esto Maxibasket (Estonia), BK Vecmeistari (Latvia), Lithuanian Veterans Basketball League (Lithuania) and the European Seniors Basketball Association. The competition brings together the best veterans’ basketball teams from Estonia, Latvia and Lithuania, who compete for the Baltic Cup in different age and gender categories. The three countries will rotate in hosting the championship, with the organizing country determining the age groups, time, location and system of play. Additional participating countries are also decided by the organizer of the cup. In 2017, the tournament will be held in Kaunas at the Sabonis Sports Complex (41 Pasiles Street, LT-51358) on 26-27 August. The right to participate in Baltic Cup 2017 belongs to the national champions of the three Baltic countries in the 2016-17 season. If a champion waives its rights to participate, the rights are then awarded to the runners-up. Like last year’s tournament will be the wildcard* system, which provides a possibility for teams from other countries to participate. At least 2 teams have to apply in each age category, with a maximum of 4. * in case of non-defined situations, Lithuanian Organizer has rights to choose a competition format. Game system: 4*8 min, FIBA rules. Prizes: In each age group, the winner will be awarded with the Baltic Cup trophy, as well as special awards organized by the tournament sponsor. Who can qualify for a *wildcard? 3) If any of the teams from Estonia, Latvia or Lithuania refuses to participate, an additional wildcard will be available. For more information about the Baltic Cup 2017, please click here.